Synthetic Marijuana is causing problems. 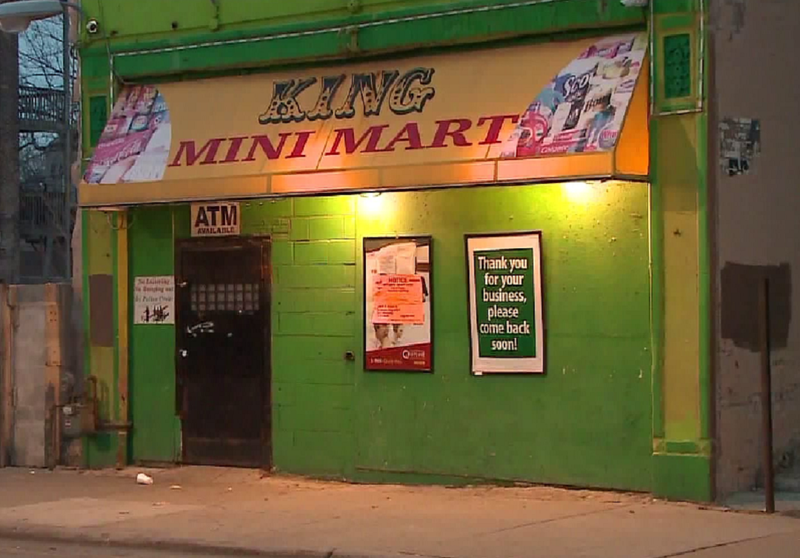 A rash of synthetic marijuana fueled hospitalizations recently led federal investigators to the King Mini Mart in Chicago’s west side. There they found three men selling a synthetic version of marijuana called “spice”. After using a drug-test kit on the substance they discovered it was laced with a deadly chemical commonly found in rat poison. Synthetic marijuana is widely available around Chicago and across Illinois. Despite feeling safe and being widely available, many synthetic cannabinoids are illegal and can cause severe reactions. But loose regulations allow these distributors to get onto store shelves anyways. Despite looking like weed, it often affects people in drastically different ways. The investigation was launched after authorities noticed a sharp spike in cases of people coming to the ER. Once doctors confirmed that the cases were linked, the hunt was on. In the last month there were at least 107 cases involving the tainted synthetic weed in the Chicago area. With three confirmed deaths and more possible, officials can feel the pressure building. Once authorities tracked the tainted product back to its source, they needed to get evidence. Agents posing as customers bought packets of spice from the small convenience store before making arrests last week. After taking three people into custody, authorities warned of a continued threat from the tainted product throughout the state. Prosecutors charged the men with a host of offenses including conspiracy, intent to distribute and sale of controlled substances. Police also confiscated $280,000 in cash and several brands of spice during the arrest. The bust is part of a larger effort to crack down on illicit drugs in Chicago. So far three convenience store workers are facing charges for selling synthetic marijuana tainted with a deadly chemical called brodifacoum. Chicago police continue looking for more sources of the tainted product. They fear that other locations may have spice contaminated with the same substance. There are big differences between real and synthetic weed. Most people understand that there is a difference between natural and synthetic products. But some struggle to identify the actual differences because they equate processed with synthetic. The real difference between the two is what chemicals go into the process. Natural weed comes from the flowers of a living, breathing plant. It’s easy to find quality information on real weed and its uses. Nobody dies from consuming too much natural weed and some doctors recommend it medicinally. Synthetic weed is different because technicians produce it in a lab by combining chemicals. Chemists take a bunch of stuff you can’t pronounce and mix it in ways to create something close to THC. These chemicals can combine in dangerous ways and loose regulations help some producers get away with passing them off to unsuspecting consumers. The Illinois Department of Public Health (IDPH) is tracking similar cases of serious health problems in people were files since March 7th. So get checked out if you experience uncontrolled bleeding from the eyes, ears, and mouth. These symptoms can indicate internal bleeding and led to the death of three victims so far.